Apply your base coat and follow with 1-2 coats of white polish. TIP: Add a variation French Tip to the accent nail of your choice. Wait for the polish to dry. Apply a few strips of striping tape across your nail beds, keeping consistent distance in-between. 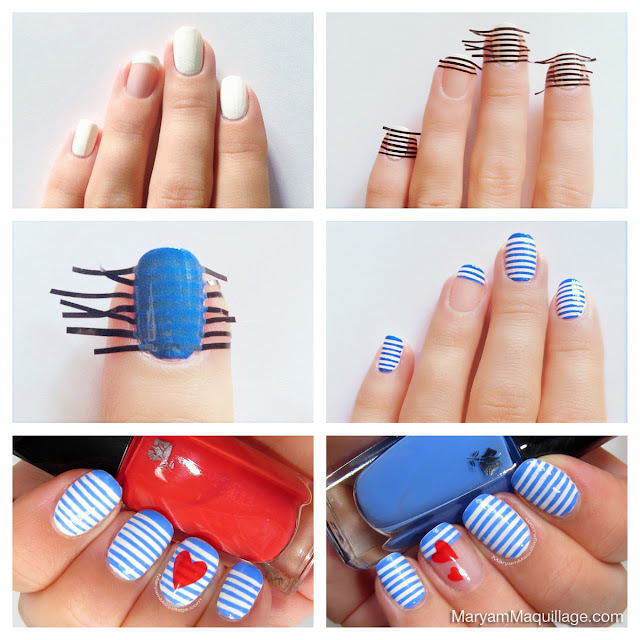 Work with one nail at a time and paint the blue nail polish over the tape. It's important to remove the striping tape immediately after polish application and before it has a chance to dry. Apply top coat. 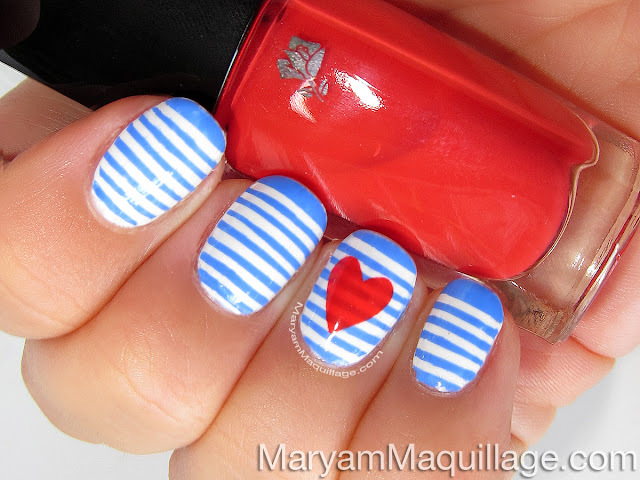 Optional: Add red hearts on top of the stripes for a fun twist! You can watch my YouTube tutorial on how to create hearts. Watch my Easy Nail Art Hearts Tutorial! Ohhh, this is so cute for summer! <3 lovely with the red hearts! you are sooo creative and gifted this is perfection! Very good and interesting site with very good look and perfect information I like it. California VIN Check.